When it comes to creating your ideal living space, are you a dreamer or a doer? Living as a dreamer, your dream home is perfectly visualized, awaiting the hand of a skilled professional to bring your dream to reality. Doers also have an image of their dream house planned out, however, the idea of the ultimate DIY project to complete is as rewarding as the finished home improvement product. Perhaps, you, like myself, fall somewhere in between being a dreamer or a doer. Pretty handy with some elements of Do It Yourself design and use of tools, I know my limits and will hire a professional when the task at hand exceeds my level of expertise. 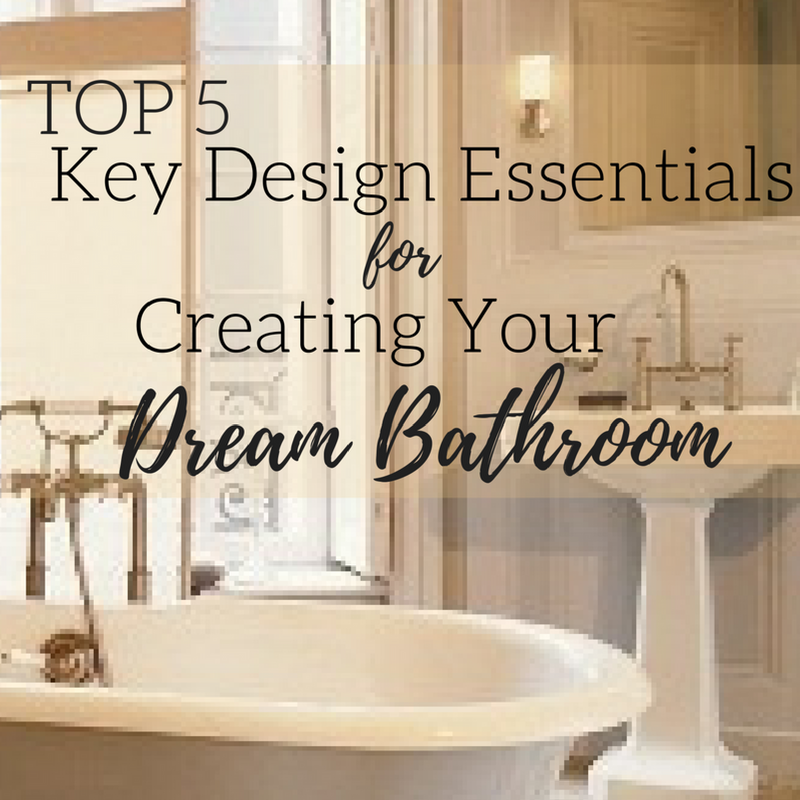 Keep these 5 key design essentials handy for creating your next dream bathroom remodel project. Thank you to the team from PlumbTile for sponsoring this post with informative resources and a promotional item for the purpose of facilitating this advertorial content. "Make it happen," is my mantra for life's dreamers and doers alike. Using these 5 design essentials for creating your dream bathroom, you have the basic framework for upgrading your basic bathroom into the ultimate bathroom. 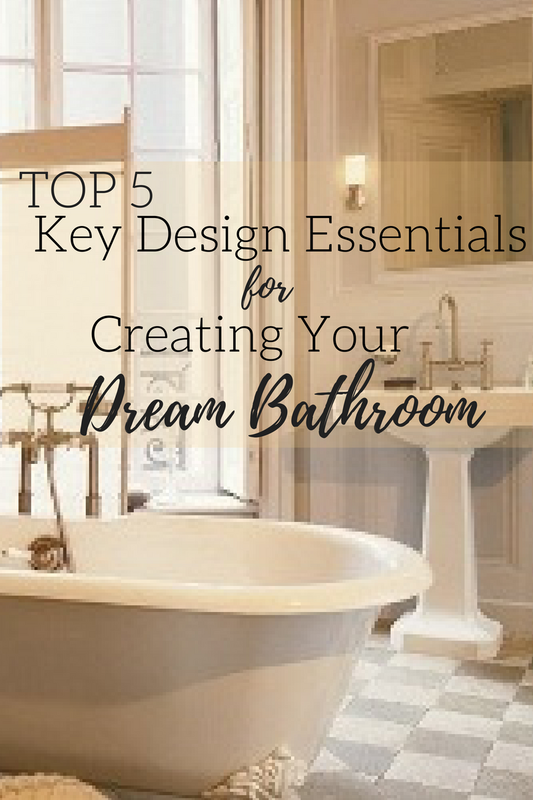 Focusing on home improvements beginning with the bathroom fixtures, lighting, storage, color, and accessorizing make a strong foundation for a successful remodel project. Updating a bathroom with the newest innovations in technology, functionality, and style of Phylrich fixtures immediately transform a dated, traditional room to a more modern look and feel. Fix those fixtures by selecting a streamlined mirrored vanity, sleek basin, elongated toilet, or elegant Huntington Brass faucets bring new life into an old bathroom. Bathroom clutter can become overwhelming, seek out storage solutions without compromising space. Consider adding additional cabinets, or shelving to contain necessities in a central location. Make use of the available space within your bathroom vanity or medicine cabinets to clear counter tops and other high-traffic areas. Come into the light, liven up the lighting in the bathroom to open up and expand the depths of your space. Bright light from windows with our without treatments, overhead and wall-mounted lighting, even mirrors add value and vibrancy to the interior design of any bathroom remodeling. Get bold! 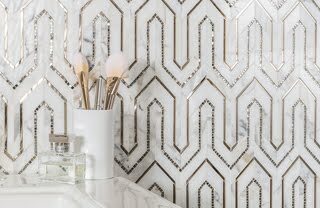 Bring in elements of color to personalize your dream bathroom with vibrant tiles, neutral stone designs, and elegant decorative glass accents. Add color with confidence that the appealing tones, textures and hues of new bathroom tile deliver a stunning visual effect. Lastly, by incorporating the finishing touches of designing your dream bathroom, the big finale is being able to add in accessories. Woven baskets, storage bins, decorative towels and colorful art work combine all of the key design essentials for creating your dream bathroom into a final product to enjoy for years to come. Now, it's your turn. 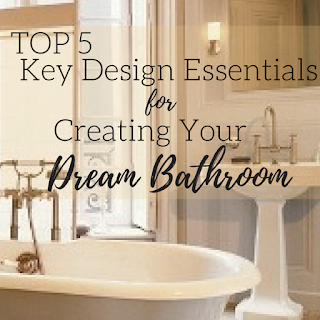 Are you ready to use these 5 key design essentials for creating your dream bathroom? For product purchasing details and additional information, visit PlumbTile.com today.